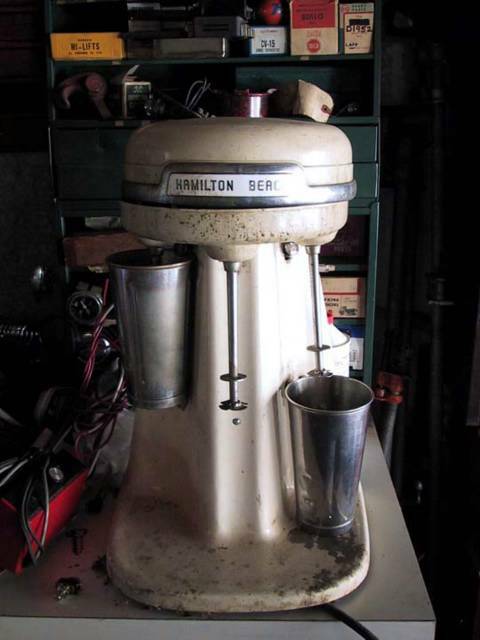 When I was trying to get to more gauges for comparison's sake, I had to wrestle with this Hamilton Beach 3 Malt Mixer. I am tired of this right here and I am up to my armpits in stoves. Therefore, this very cool, very heavy, decent condition, great porcelian, missing a part or two, been opened and monkeyed Maltmixer is available for GONE. But! You need to come get it! Trades accepted! Standard Chinatown Incubator donations apply.